What Do You Actually Know About Mold and Indoor Air Pollution? Below are facts about what mold can do and how bad indoor air pollution is and… The question is: What do you actually know about mold and indoor air pollution? 1. The air is 2 to 5 times more polluted inside than outside. 2. Mold is a microscopic fungus that thrives in warm, dark and damp places. 3. Most cases of mold start in the basement. To stop mold in the basement, dehumidify the basement by using a basement dehumidifier. 4. Half of all buildings/homes have mold according to the National Institute of Health. 5. Constant mold exposure for young children can need to asthma and cognitive problems. 6. There is a lack of understanding of connection of mold exposure to health problems in the medical community. 7. Dead mold spores can still cause a reaction and must be removed by using a HEPA vacuum. 8. Mold is in every home. Keep the mold spore count down to prevent reactions. 9. Allergy Air Purifiers remove 99.97% of all mold, bacteria, germs and viruses from air. 10. Bleach will not kill mold on porous surfaces because it cannot penetrate. 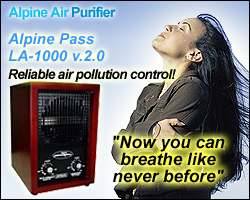 Time to Purchase Allergy Air Purifiers. We have the Best on The Market. 11. Mold travels and can be invisible to the naked eye. When you open the basement door, mold escapes into the rest of your house. 13. Chemicals off-gassing mostly occurs when it is humid and releases toxic chemicals into the air. 14. Mold can grow withing 24 to 48 hours after water intrusion. Fix leaks immediately. 15. We spend on average 90% of our time indoors. 16. Mold spores can be invisible. 17. Warning: Asthma cases have increased by 75% since 1980! 18. Fresh air is critical to the lungs of babies and children. Effects of mold and indoor air pollution are not commonly known by most people. Bet you were amazed by some of these facts. There is so much to know these days. As far as mold, keep coming back as we constantly will update you. Mold and indoor air pollution can be lessened if you know what to do. Prevent mold by keeping your house dry. Start with dehumidifying the basement with a basement dehumidifier. Most cases of mold start there. Clean the air with allergy air purifiers. They remove mold and lessen indoor air pollution. Making your home healthier will help your kids to stay healthier.